Why does a company go bankrupt? We often point to factors such as the economy, high leverage, bad management, falling asset values, or strong competition. While all of these can be contributing factors, ultimately a company will file a bankruptcy petition when it can't generate enough cash to service its operating and financial obligations - when it runs out of cash. Does this mean a bankrupt company has no value and should be liquidated? Not at all. The purpose of Chapter 11 (and similar provisions in other countries) is to allow companies to reorganize and continue to operate. A debtor can use the bankruptcy process to improve operating cash flow by canceling burdensome contracts and leases and closing or disposing of underutilized or unprofitable assets. Just as important, however, a company can use the bankruptcy process to reorganize the liabilities and equity side of its balance sheet to reflect the new reality of its asset values and cash flow. 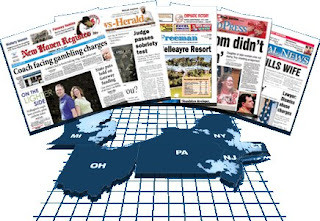 The Journal Register Company publishes 20 daily newspapers and over 150 (mostly weekly) other publications. It has been hurt by the general decline in the newspaper industry, which was greatly accelerated by the recession. The company responded by cutting costs, closing money-losing operations, and selling assets. Still, its margins and cash flow have been declining since 2005. It became clear by late-2008 that the company was insolvent. Its stock was at $0.10 and it was in default on its debt. The company received a 3-month forbearance from its lenders and hired a Chief Restructuring Officer. On February 21, 2009, the company announced it reached agreement with investors holding 77% of its debt on a restructuring, and it filed a "prepackaged" Chapter 11 petition. How Does a Prepackaged Bankruptcy Work? Thus, the debt load of the company is reduced by $420 million to a level the reorganized company expects to be able to service, the company's creditors receive a combination of new debt and stock, and the old owners get nothing. 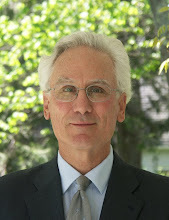 While it doesn't ensure that the Journal Register can survive the secular downturn in the newspaper industry, this reorganization is how the bankruptcy process is supposed to work. For many companies, financing an acquisition is a two-step process. The long-term strategy might call for raising cash using syndicated term loans and revolvers, bonds, equity, and asset sales. However, many companies use bridge loans to initially fund acquisitions, then repay those loans with other financings and/or assets sales. In fact, according to Reuters, the largest syndicated loan in the U.S. in 2008 was the $14.5 billion one-year bridge loan backing Verizon Wireless' acquisition of Alltel Corp.
A bridge loan is a term loan where the expected source of repayment is a specific event, typically a debt or equity financing and/or asset sale. These loans typically have a bullet maturity (i.e. no amortization) of 1 year or less. As an incentive to borrowers to refinance bridge loans quickly, they typically include interest rate increases and "duration fees" tied to how long the loan is outstanding. For example, the Altria bridge loan (described below) calls for the interest rate to increase by 0.25% and for an additional 0.75% fee if the loan is not repaid within 90 days (with additional step-ups and fees each 90 days thereafter). Bridge loans are typically underwritten by a small group of banks rather than being widely distributed in the syndicated loan market. These underwriting banks typically also manage the "takeout financing" (e.g. 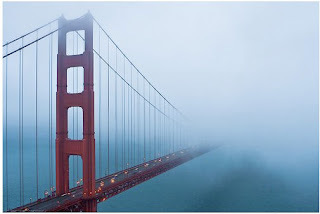 the bonds issued to repay the bridge loan). On September 8, 2008, Altria Group, Inc., the parent company for cigarette maker Philip Morris USA and other companies, announced an agreement to purchase UST Inc., a leading manufacturer of smokeless tobacco. The transaction, scheduled to close within 4 months, called for Altria to pay UST shareholders $10.4 billion cash and to assume $1.3 billion of UST debt. The company's plan was to finance the purchase with $11 billion of long-term, public bonds. However, at the time they announced the acquisition, they also announced a $7 billion dollar commitment (split between J.P. Morgan and Goldman Sachs) for a 364 day bridge loan which, when added to the company's existing unused credit facilities, could fund the entire purchase. September 8 - Altria announces agreement to buy UST and $7 billion loan commitment. November 4 - Altria issues $6 billion in 5, 10 and 30 year bonds. December 18 - Altria issues $775 million in 18 month bonds. December 19 - Altria closes (but does not draw down) on $5 billion 364 day bridge loan (reduced from the original $7 billion commitment). The bank group expands from JPM and Goldman to include 6 other banks. January 6 - Altria closes on the purchase of UST and draws down $4.3 billion from the bridge loan. February 3 - Altria issues $4.225 billion in 5, 10 and 30 year bonds (bringing the total bond issuance to the planned $11 billion) and repays the bridge loan. The 8 banks that underwrote the bridge loan are all joint book-running managers on these bonds. We mentioned the absence of early warning signs in our earlier post on Satyam – especially the lack of a gap between earnings and cash flow. It turns out there were a few. We can classify them either as behavioral or financial. Behavioral early warning signs are actions, things key insiders and important outsiders do that signal trouble. In Satyam’s case, the first occurred last December 16, when Satyam agreed to acquire - without proper shareholder approval and at an inflated price - two struggling companies controlled by Chairman Ramalinga Raju’s family. Then on December 23, the World Bank‘s barred Satyam from doing business with it for eight years for providing “improper benefits to bank staff” in exchange for contracts and providing a “lack of documentation” on invoices. Right after that, four of the company’s six independent directors resigned, another bad sign. This barrage of bad news was a powerful sign that something was very wrong at Satyam. Unfortunately, it came too quickly to be of much use. Raju sent his confession to the board on January 7, 2009, the day after Merrill Lynch mentioned problems with Satyam’s accounting. Financial early warning signs are problem indicators based on financial statement analysis. Analysts look for inconsistent trends in related accounts. For instance, a gap between the trend in earnings and the trend in cash flow suggests overstated revenues or understated expenses. In Satyam’s case, there is a puzzling difference between the trend in the reserve for uncollectable accounts receivable and the trend in the amount of time it takes the company to collect its accounts. In 2006 the provision for doubtful accounts was 8.5% of accounts receivable, in 2007 it fell to 6.6%, and in 2008 in was only 6.0%. Yet over that same span of time, the payments on those accounts began to slow down, as days receivables grew from 89 in 2006 to 101 in 2007 and 103 in 2008. If the quality of receivables was declining, why was Satyam taking lower provisions? Perhaps to understate expenses. If the quality of receivables was improving, why were they taking so much longer to collect? Perhaps because Satyam was overstating revenues. Early warning signs are far from perfect. They’re not definite. They can only suggest something’s wrong; they can’t prove it. They’re not precise. They can’t tell you how big the misstatement is. But taken together, the behavioral and financial warning signs can alert you to an increase in reporting risk. Then you can begin to watch the company more closely, review your exposures, and check your legal agreements. You can be prepared to reduce your risk in case the worst happens and, like Satyam, the company ends up actually committing financial fraud. It’s the biggest corporate fraud in Indian history, and the press labeled it “India’s Enron” as soon as the news broke. But Satyam looks to be worse than Enron in scope, if not in scale. How can we say that before the authorities have completed their investigation? We can tell by the absence of early warning signs. Satyam Computer Services is one of India’s leading information technology companies and ranks 185 of the Fortune 500 companies among its clients. Early last December, the company’s Chairman, Ramalinga Raju, confessed to using fake revenues to inflate profits over a number of years. That led to a build up of what Raju called “artificial cash” of over $1.0 billion (Rs 50 billion) by the end of September 2008. Through long, bitter experience, investors have developed a set of early warning signs of financial reporting fraud. One of the strongest is the difference between income and cash flow. Because overstated revenues cannot be collected and understated expenses still must be paid, companies that misreport income often show a much stronger trend in earnings than they do in cash flow from operations. 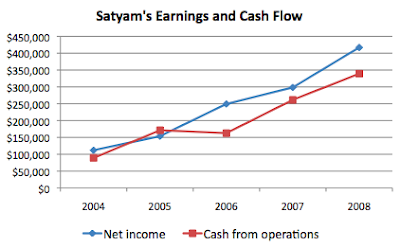 But you can see there is no real difference in the trends in Satyam’s net income and its cash flow from operations over the last five years. That’s not because the earnings were genuine; it’s because the cash flows were manipulated too. To do that, Raju had to forge accounts receivable and falsify collections. The fake cash flows led to the bogus bank balances. To keep from tripping the income-cash flow alarms, Raju had to manipulate nearly every account related to operations. It was a stunningly comprehensive fraud, likely to be far more extensive than what Skilling, Lay, and Fastow did at Enron.